Sam H. Kaplan was born in Chicago in 1915. While still in high school, he developed three strong technological interests: color photography, chemistry, and television (still in its infant stage) which later became intimately interwoven in his professional career. In 1937, Mr. Kaplan received the B.S. degree in Chemical Engineering from the Armour Institute (now the Illinois Institute of Technology). Still pursuing his interest in electronics, his first job was in the chemical engineering aspects of electrolytic condensers. As an avocation, he continued library study and individual investigation in the principles underlying color reproduction. He was especially intrigued by the possibility of applying the principles of color photography to reception of color television pictures in the home, and began intensive analytical studies aimed at a practical method of implementing his thoughts. In early 1947, he combined his best concepts into a patent application on an all-electronic color reproducer. This application disclosed the principles of what later became known as the shadow-mask tube. He immediately solicited interest in, and funding for, practical pursuit of his invention, with no success. In 1950, Zenith, which had entered picture tube manufacture through the purchase of the Rauland Corporation, acquired an option on Mr. Kaplan's patent application and his related technology. Although his patent application lost a patent office interference (by a matter of months) to an RCA inventor, his alliance with Zenith led to continuous support for his inventive and scientific ability. His article on "Theory of Parallax Barriers", published in 1952, was a basic reference for the theory and practice of shadow mask tube design. In the environment of color picture tube research, Sam Kaplan contributed a steady stream of improvements and innovations in virtually every area of picture presentation, culminating in the negative guard band black matrix Chromacolor tube, introduced in 1969. This tube has been characterized by Dr. Edward W. Herold, a long-time authority in the field, as one of the ten "milestones in the development of the shadow-mask tube". Mr. Kaplan was also the original inventor of the selective color filter principle, introduced by RCA in 1975 in the "Accufilter" tube. He holds 42 U.S. patents to date, with more pending. He was a member of the IEEE, the Society of Motion Picture and Television Engineers and the Optical Society of Chicago. He was also the co-recipient of Zenith's McDonald Award for "achievements in the development of Zenith's Chromacolor TV picture tube", for which Zenith received the Industrial Research 100 Award in 1970 as one of the 100 outstanding developments of the year. 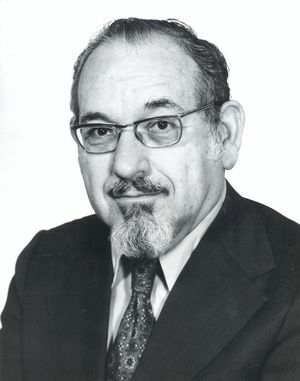 Kaplan received the 1978 IEEE Vladimir K. Zworykin award "For contributions to the theory and development of shadow mask tubes." Sam Kaplan and his wife, Ruth, had two daughters, both married to professional men, and four lively grandchildren. They divided their time between two condominium homes - one in North Shore Chicago and, when Sam can leave the Lab, a winter retreat in Deerfield Beach, Florida. Kaplan died of heart failure in 2000.